Not only do they have the largest selection of spirits domestically (4,000+ references), Canon took the Spirited Award for World’s Best Spirit selection at last year’s Tales of the Cocktail. This is no surprise seeing the number of bottles lining the walls – including in the bathroom! With a co-owner and creative force like well-known industry personality Jamie Boudreau, this bar gets a lot of (deserved) attention for its cocktail programme that delivers most excellent and creative cocktails served up in antique glassware or with quirky fun presentation. A romantic attention to detail – like staining the entire bar with Angostura bitters – take things over the top in this cozy space for grown up fun. Plus they open up their back deck in the summer for some cocktail fun in the sun! Coming from the team behind Stateside (a Seattle favorite for Vietnamese) with staff from some of the city’s best bars, Foreign National opened to much buzz. And, if my experience is any indication, it’s worth the hype. My drinking partners’ cocktails were great. Mine was a unique, experimental, surprisingly bizarre something that may have involved pickled or fermentation. It’s a brave drink – to both order and offer. In spite of (or perhaps because of!) this ballsy cocktail, I fell hard for this little bar. 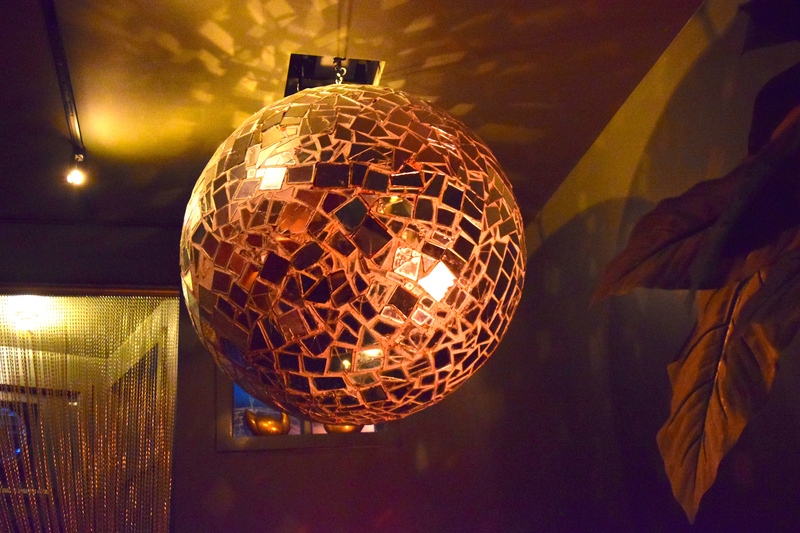 and dig their bravado, beverages and disco ball. Looks like their snacks incorporate an Asian flavor with dishes like curry chicken puffs or hamburger bao (that sounds good…now I wish I would have tried that!) This is probably the darkest cocktail lounge I’ve ever been in. So, sit at the bar and don’t be shy about asking for a tiny flashlights to better read the menu! 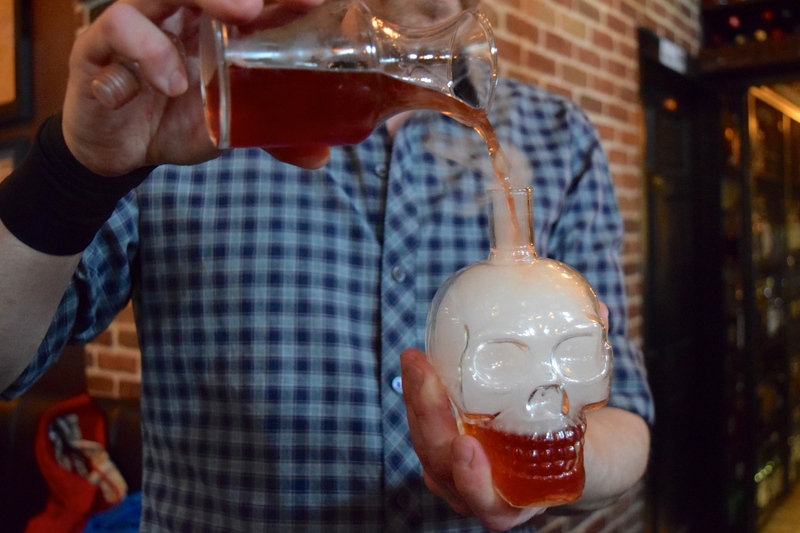 While Rumba is definitely the biggest and best rum bar in the Pacific Northwest, it may well be the best in country. Maybe the world? When I was in a rum shop here in Paris recently, the owner brought it up as probably the bar with the biggest selection he’s ever seen. The bar stocks over 500+ different sugar cane spirits, conveniently grouped on shelves by region. 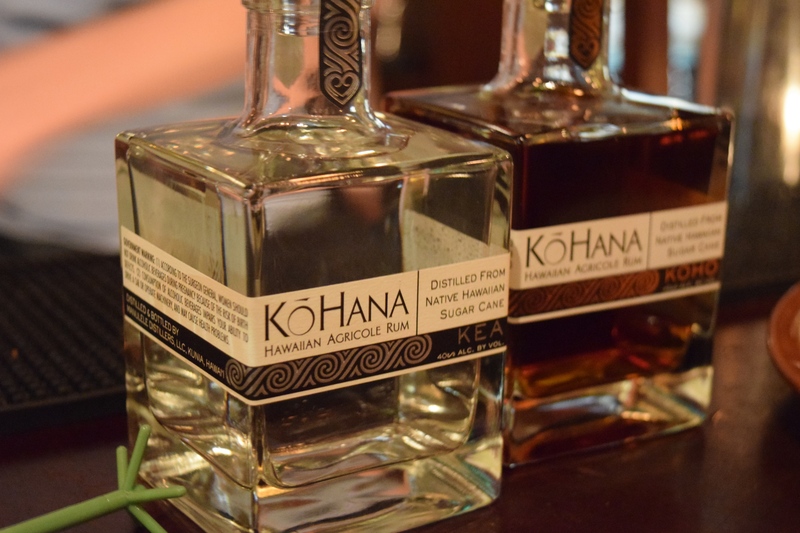 Along with some great cocktails, we sampled a new rum that had just come in from Hawaii. They serve up the standard daiquiri, a tight and traditional Ti-Punch, tiki drinks, swizzles…the selection is enough to make your head spin. The bar is a beauty and the staff behind it are friendly and knowledgeable. The food menu is made to highlight pan-Caribbean flavors – you know those countries and territories where you find a lotta good rum? Their fried plantains and guac were a great way to soak up the excessives of our three stops for the evening. And if you complete the liquid tour through their Caribbean Rum Map (60 stops) you’re an official member of their Rum Society!